One of the best ways I’ve found to help sew sticky or tacky fabrics is to use a non-stick presser foot. The non-stick coating helps these feet glide right over difficult materials like plastic, vinyl and leather. Take a look at the different BERNINA non-stick feet to see the techniques each is capable of, and check out the video tip below for more top tips for sewing with vinyl. 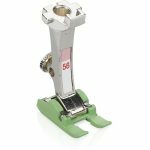 This non-stick version of the zigzag foot is a great all-purpose presser foot for hard to sew materials, and can be used with a straight stitch, a zigzag stitch, or open decorative stitches. 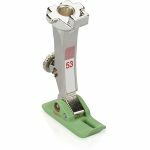 This style of foot is available in the regular style for 5.5mm stitch width models, the “C” style for 9mm width models, and the “D” style for use with the Dual Feed models. 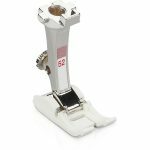 This foot is useful when precision straight stitching is required (when you want the perfect topstitching), and is available in one style to fit all current BERNINA models. This non-stick 5.5mm equivalent for the zipper foot equipped with a guide is works in all situations where you would use a zipper foot. 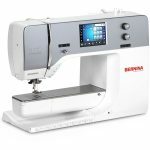 It is available in one style to fit with all current BERNINA models. 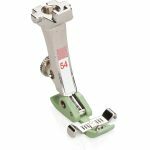 This foot is great for any application where you need to see exactly where you are stitching, like sewing heavy decorative stitches or edgestitch on vinyl, leather or plastic. This non-stick version of the Open embroidery foot #20 is available in one style to fit all current BERNINA models. You can see BERNINA Educator, Nina McVeigh, talk about her experience using the non-stick feet in the video, Using BERNINA Non-Stick Feet from The Quilt Show. Watch this quick video to learn three top tips for successfully sewing with vinyl! Did you check out the clear vinyl pouches I made in the video tip above? They are super-handy for holding all kinds of things from sewing notions to cosmetics! 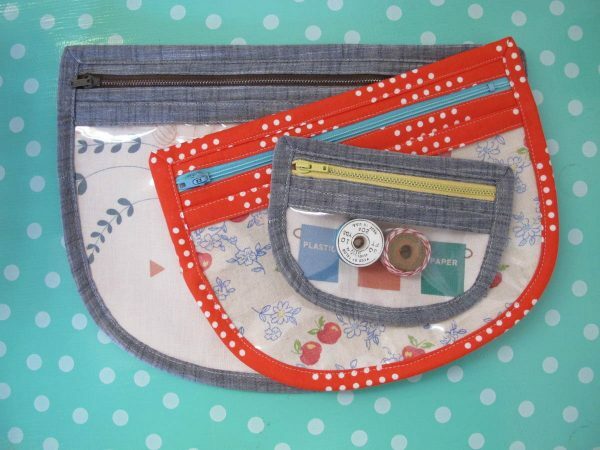 Find the Vinyl Zippered Pouch Tutorial here on WeAllSew. Now that you’ve learned some tricks for sewing with vinyl, check out these other fun projects! This set of pouches are so fun to stitch up with scraps of colorful fabrics, and the clear window makes it easy to see what’s inside. Get Penny Layman’s Rounded Vinyl Zip Pouch tutorial here. 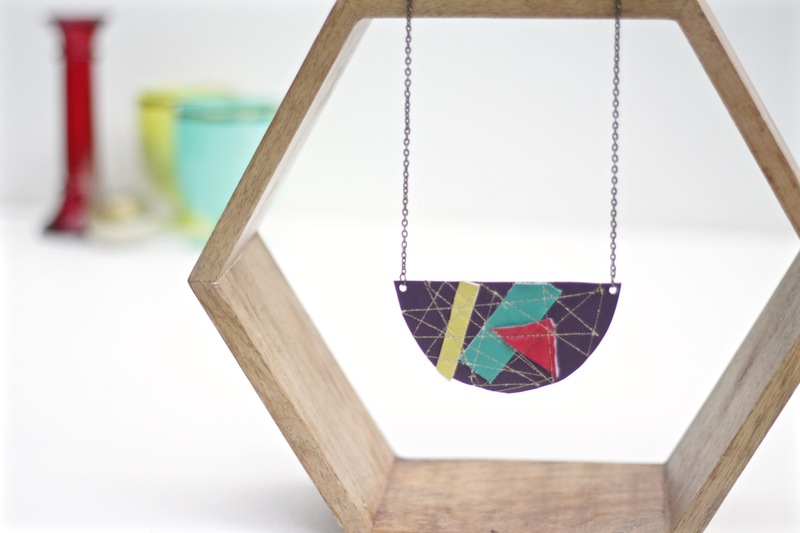 Make a fun 1980’s inspired necklace from vinyl scraps with Nicole Stevenson’s DIY Geometric Vinyl Necklace tutorial. 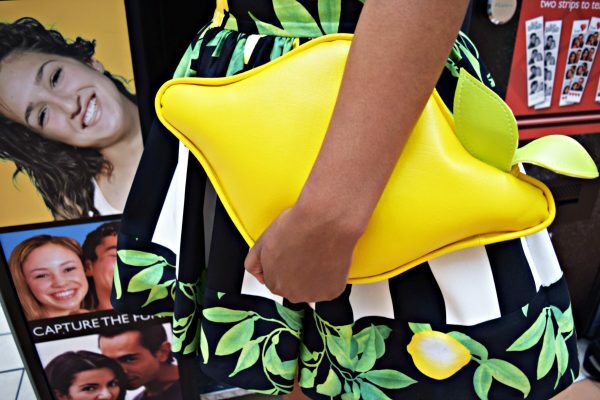 Turn colorful vinyl into a fun summer clutch designed by Michelle Morris with the Lemon Clutch Tutorial here. Thanks for the great tips. Pondering, stitching on vinyl – would you recommend one thread weight over another?